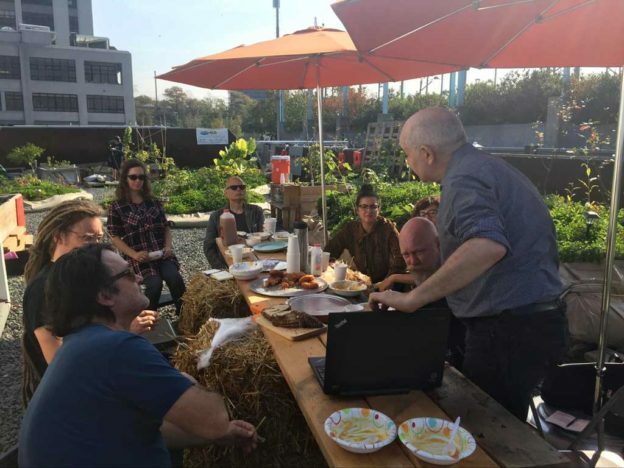 Our second meeting in NYC to discuss art and agriculture was held aboard Swale, Mary Mattingly’s floating food forest, at the time docked at Brooklyn Bridge Park. Each guest presents an image or brings an object to talk to for about 5 minutes. 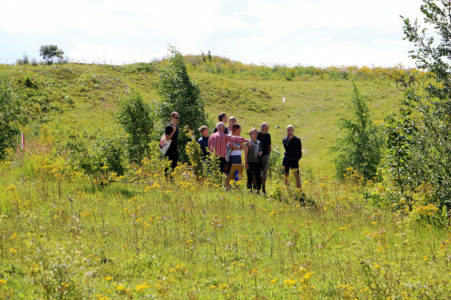 Marek Walczak gave an overview of our confirmed site in Hyllie. 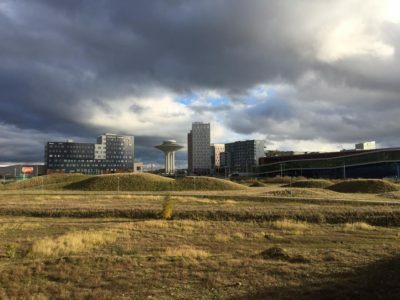 An incredibly fertile landscape close to Denmark – the first train station in Sweden when coming from Copenhagen and a ten minute bike ride to Malmo City Center. Malmo has a young age demographic and a diverse population. He is interested in exploring the idea of hedgerows, creating links between the two key locations. Marek deferred to Mark and Antonina for further discussion on Hedgerows. 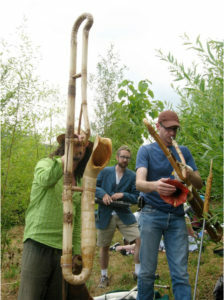 Oliver Kellhammer is an artist, activist, and ecologist whose work facilitates the process of environmental regeneration and who has a long history working in permaculture. He discussed speculative botany – what will our landscapes look like with rapid climate change? For him it’s essential to draw on local knowledge. In terms of the site Oliver is interested in providing a space to re-empower populations and re-invigorating traditional craft practices. He tends to work long term, with an interest in permanence, how people already relate to landscapes and in seeing what power relations exist. He posed the question, how to resist the hegemonic. Stephanie Rothenberg spoke to her current interest in Robotic Gardens. She is interested in creating a Welcome center, using micro-organisms and their literal underground networking capabilities. 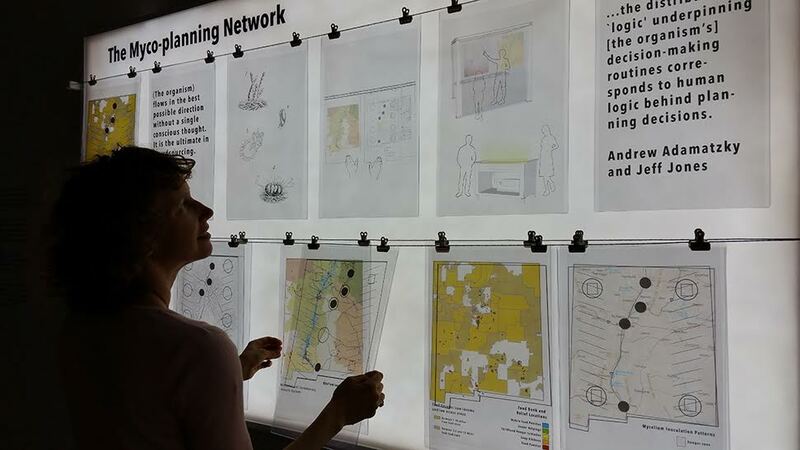 She is interested in performative mapping strategies to tie varied projects together. 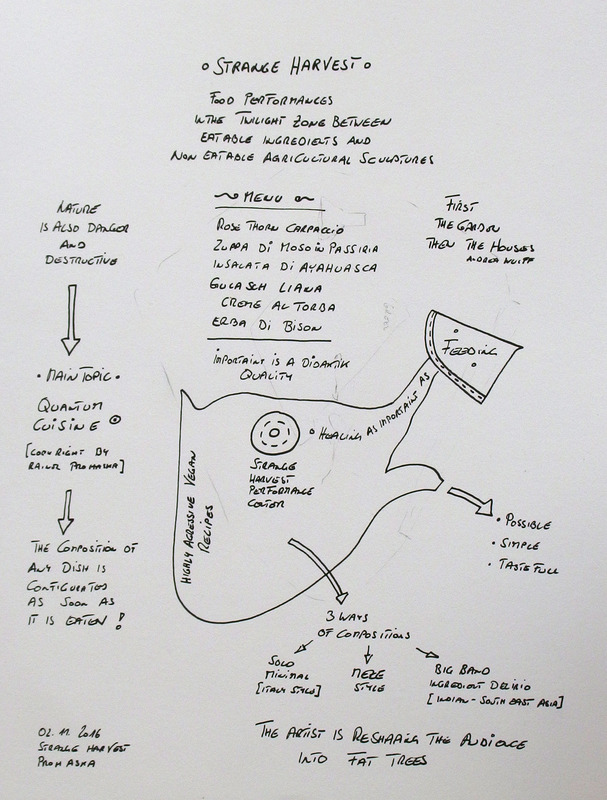 Perhaps playing around with the idea of an info box, ancillary structures; risk and failure; collateral architectures. Referring to microbiology and biomimetics she talked about how natural systems might be used to redesign transportation systems. Her work generates workshops, is performative and speculative. 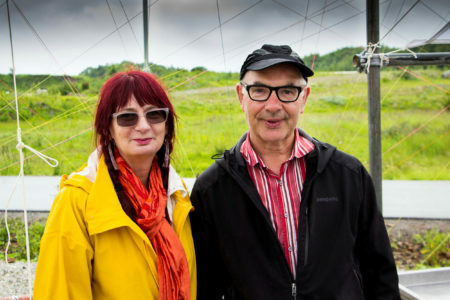 Mark Shepard, an artist and architect whose work addresses contemporary entanglements of technology and urban life, visited Instrument in Lovestad in 2013. He addressed conversations he had already begun with Marek about Hedgerows. 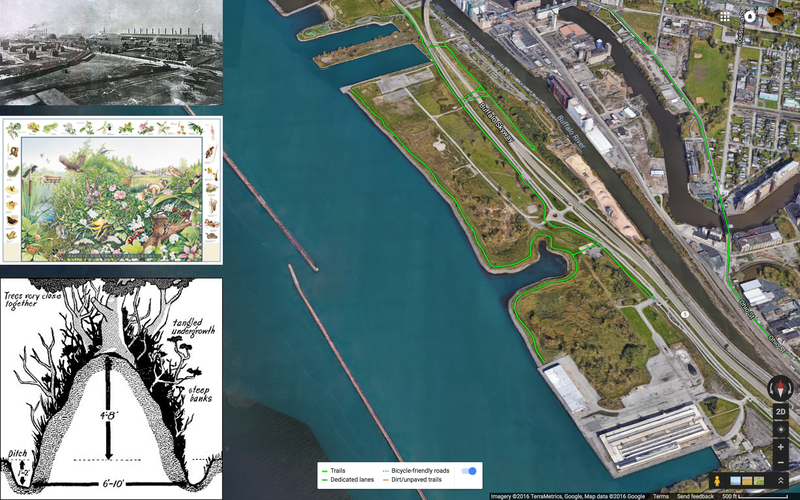 Interestingly, the conversation has led to current work in Buffalo, NY on Hedgerows. Mark spoke to the social (history of hedgerows as meeting places), environmental (diversity), and pedagogical (teaching, stewardship, long term interaction with a site, maintenance) frameworks that Hedgerows have historically provided. He addressed the idea of a successional strategy, human and non-human; and of “anticipatory futures”. He suggested that Hedgerows might operate as a calendar of sorts, and their ability to shape a microecology from what has been planted. The project becomes a sensor network, influences, a barrier boundary developed in cross-section. Hedgerows are an environment that brings together diverse flora and fauna in local microcultures. 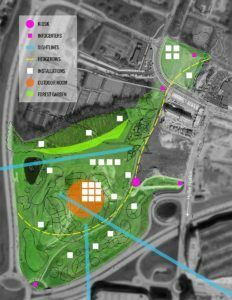 His research has taken form, ironically, not in Sweden, but initially on a site in Buffalo, that might hopefully link to further work on the Hyllie site. Antonina Simeti has a background in urban planning, community building, youth, environmental conservation. She is specifically interested in understanding who is benefiting locally. Specifically young people – developing a ‘learning landscape’. As local people are involved in the production and realization of a project, they have a direct investment in ongoing maintenance and ownership. Rainer Prohaska is an artist who has worked for many years in food and art. While not all of his work addresses food specifically, he is interest in the idea of process, storytelling, journeys, readymades, and mobility. He spoke to his recent recipe research, in which he is devising recipes specific to locations and depends on what is available hyper-locally. He is interested in developing new recipes. He is partnering on a project with Przemyslaw (Premo) Jasielski who develops tech-art solutions and is a robotics expert. Mary Mattingly spoke to ethnobotanical knowledge, documenting power relationships, and our relationship to food growing. She is currently specifically interested in developing public food forests based on local knowledge. 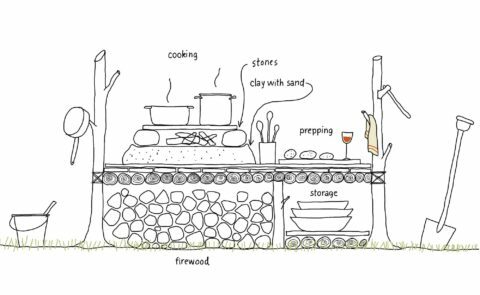 But this might also tend towards the mapping of neighbourhoods – storytelling, mapping, identifying where local food sources already exist. Collaborating with locals, gathering local knowledge, foraging… Marek mentioned a local artist in Malmo, Helle Robertson, who has been foraging local fruits to make marmalades and jams, who would have a lot of this kind of knowledge and networks. 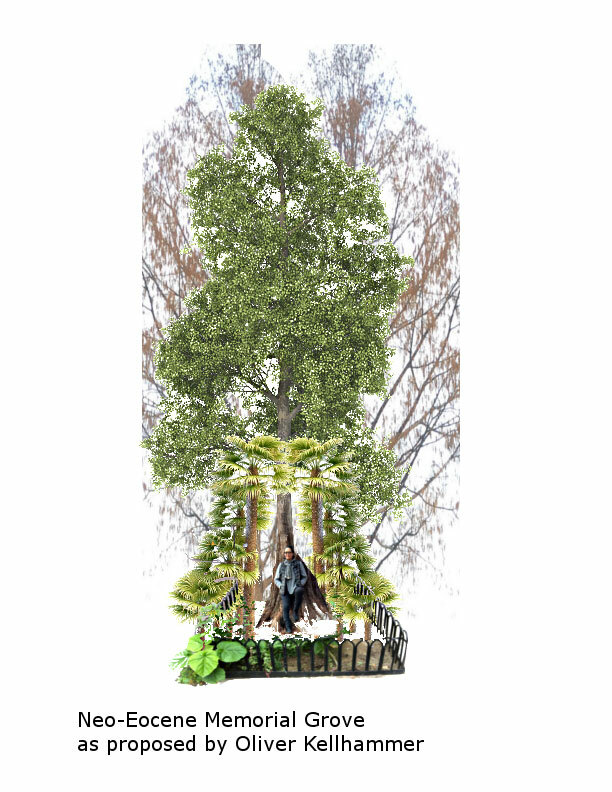 Marek and Amanda commented that the Forest Edge in the English park might be an ideal location to propose a more permanent permaculture planting/ installation. Also discussed was the idea of developing a compendium of edibles that already exist locally – flora, fauna, insects..
Amanda McDonald Crowley provided soup for the brunch (with herbs from Swale), gave an overview of community engagement strategies aboard Swale and helped facilitate (and document) conversation.